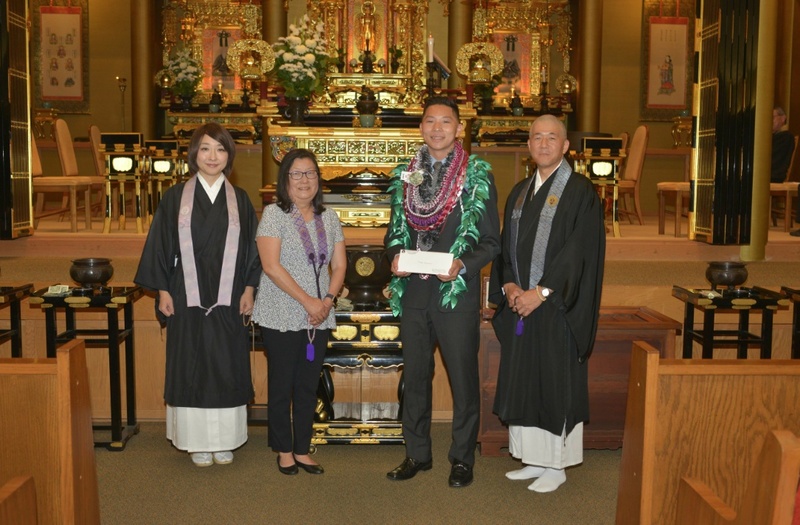 GARDENA — During the service honoring its graduates on June 17, Gardena Buddhist Church awarded the Gardena Buddhist Church Dharma School Scholarship to Tyler Morimoto, son of Chizuko and Glenn Morimoto. A graduate of Torrance High School in June, Tyler was captain of the varsity basketball team, a member of National Honor Society and California Scholarship Federation, and commissioner of academics on his school ASB. Currently he is president of the Southern District YBL and first vice president of the Gardena Jr. YBA. He will continue his education at El Camino College, majoring in health care administration.